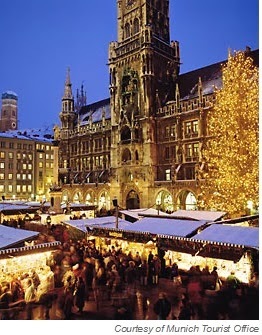 I can't wait to visit all the Christmas markets, drink the mulled wine and eat the yummy Christmas treats! If anyone has any suggestions on places to visit and things to do in any of these cities, please share them with me! This will be a very memorable and fun trip Khammany! We make it a point to travel too at least once a year, I think the kids would be more well-rounded being exposed to different cultures! One of my best Christmas memories was being in Germany! What a treat. I too loved the mulled wine. 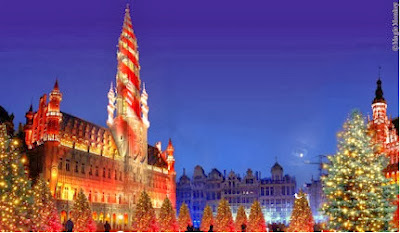 Beautiful images of Christmas in Europe! I hope to visit someday. 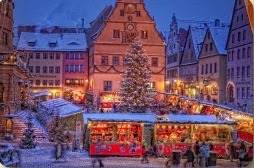 How wonderful that you will visit these cities and enjoy all their Christmassy goodness, Khammany. Have a wonderful trip, and a very Merry Christmas! Everyone would like to be at your place I think! How exciting to visit all these wonderful cities in the middle of winter, in Christams time! We were in Zurich two years ago and in London last year.It was also magical! Have fun and take care! Way to go dear!!! 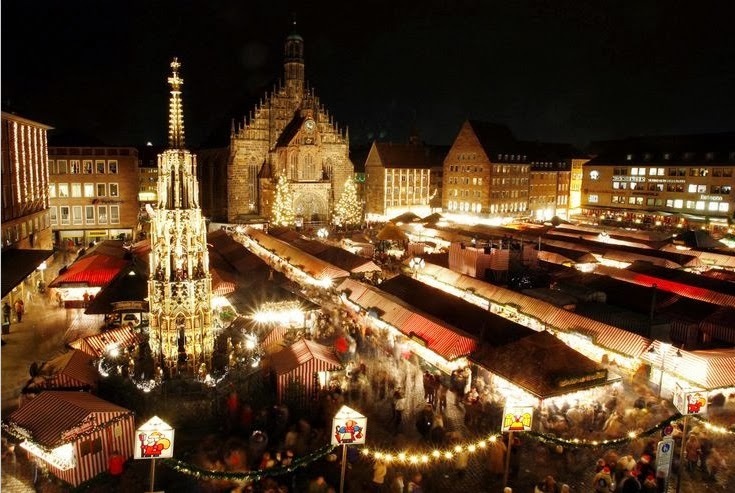 It will be a fabulous time - you are visiting so many of the best cities with the most beautiful Christmas markets. 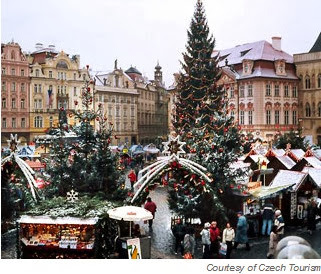 I was in Prague in October - loved every minute and can imagine how exquisite it will be at Christmastime. Just walking across the Charles Bridge, visiting the castle, listening to the fascinating clock strike the hour, listening to wonderful music etc. will all be awesome - and with perhaps a little snow the atmosphere will be perfect. Bon voyage - enjoy. Merry Christmas. I have yet to travel to Europe so I have no advice but I am sure you are going to have a great time! We just returned from Disneyland this week and it was beautiful and most importantly to moi, it was warm!!! Merry Christmas and safe travels, Khammany! I am so happy for you! Such a beautiful post! 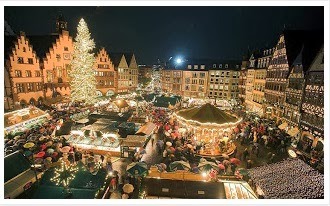 I love to see Christmas around the world!! :) Have a lovely time on your trip! Oh, I remember delicious sugar doughnuts on the Prague Christmas market, don't forget to eat a few! Such a great itinerary, I've been to all of those place except for Bruges. I really want to go so let us know how it is. 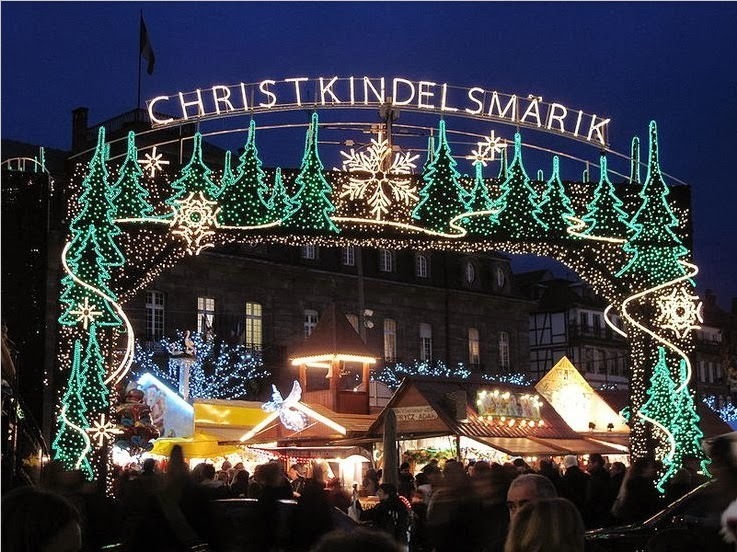 BTW the pic you have of Luxembourg is the Nurnberg Christmas Market. It will be so much fun! Wishing you the most beautiful time in Europe. Enjoy!!!! During this time I miss my home country Germany the most. Have a good journey. Looking forward to seeing pics and you blogging about it. Could I be a stowaway in your suitcase? Have a fabulous time!! Photos on this blog are taken by Sweet Inspired Home and are the property of Sweet Inspired Home, unless otherwise noted. Please feel free to Pin any photos with a link back to this blog but please contact me for permission before using photos for any other purpose.